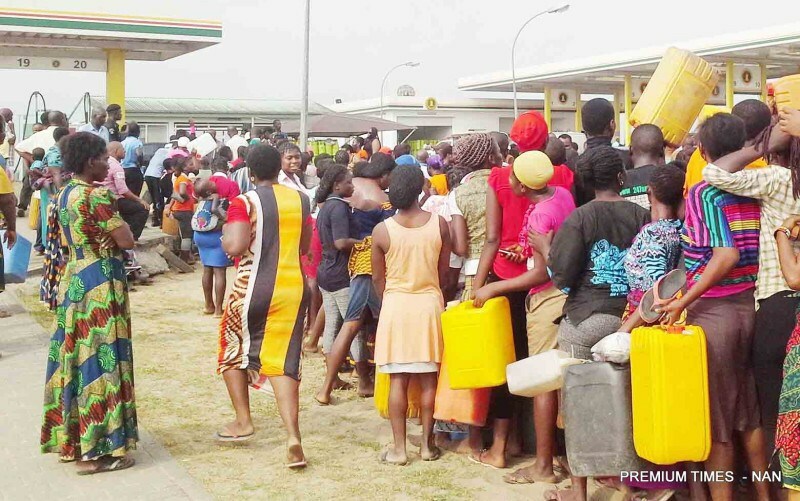 Residents in Kaduna State are lamenting as the price of Kerosene, an essential household commodity, increased by 60 percent in the state, trading at N1,600 per gallon – N400 per litre – from the N1,100 it was sold in December. Speaking with the News Agency of Nigeria (NAN) in Kaduna on Friday, some dealers of the product revealed that the products suddenly became scarce and expensive, which was responsible for the sharp increase in the price. One of the dealers, Mrs. Joyful Adeyemi, told NAN that she bought kerosene in December, 2016 at N47,000 a drum and sells a gallon between N1,100 and N1,200. She said: Only for the price to increase to N72, 000 a drum as at yesterday. This change forced me to increase the price to N1,600 a gallon; otherwise, I will be running at a loss. More so, the product is scarce. I had to part with extra money to be able to get the quantity I needed. Another dealer, Mr Sammy Bodam, said that patronage had drastically reduced due to the hike in the price. A consumer, Jamila Abubakar said that the sharp increase had made life very difficult for the common man and urged government to do something about it. If not because we do not have an option, nobody will use kerosene again. This is because firewood is equally expensive, difficult to use and environmentally unfriendly, coupled with the accompanying health risk. But we cannot continue like this. Kerosene is an essential commodity and is becoming beyond the reach of a common man. Just some few weeks ago, a gallon was selling for between N1,100 to N1,200 and suddenly there was a sharp increase to N1,600 a gallon. In fact, in some places, it is selling for N2,000. I am urging the government to look into our plight and urgently address the problem; otherwise there will be no hope for a better life for a poor man in this country, she said. Another consumer, Mr Amen Rabo, said he had turned to firewood because kerosene was beyond his reach. I cannot afford to buy kerosene, currently selling at N1,600. I am using firewood as an alternative, which is a bit cheaper compared with kerosene, with 10 pieces selling for N100. Unfortunately for us, 10 pieces of firewood cannot cook three square meals for my family a day; we just have to manage because kerosene is beyond our reach, Rabo said. He called on government to look into the problem and save the common man from hunger, saying that “more money is being spent on kerosene instead of food items’’.